A Florist's Favourite in Your Own Backyard. Carnations can be found in almost every store-bought bouquet, and for good reason—when the other flowers in the arrangement are starting to wither, the carnations are usually still going strong. In fact, they usually last 2-3 weeks in a vase! 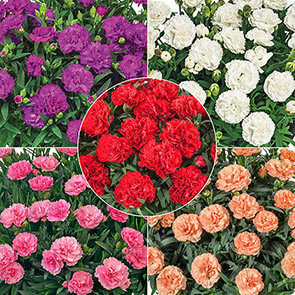 Now you can have this cut-flower powerhouse in your own garden and enjoy months of colour and fragrance indoors or out! 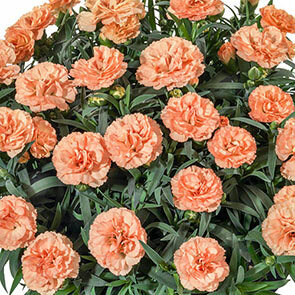 When planning your planters, consider carnations! Each of the varieties in our Fragrant Carnation Collection is ideally suited for containers and pots, thanks to their relatively short stature, compact growing habit and extremely long bloom time. Try placing them on different levels of your deck, porch or patio and enjoy their stunning beauty and fragrance all summer long! 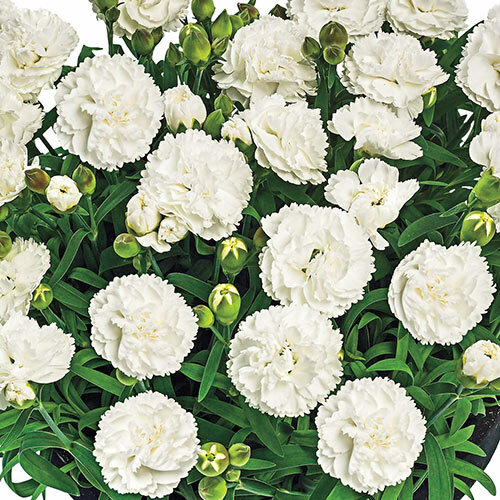 Carnations Grandma would be happy to grow! Faganza: A classic colour that never goes out of style. 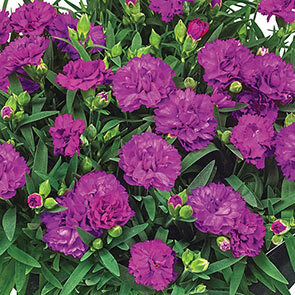 Double-toothed, lavender flowers look similar to carnations of old, but they fit right into any modern landscape or container planting. Cosmos: Snow-white flowers provide the perfect contrast to more colourful blooms. Also great as part of a moonlight container garden on the back deck or patio. Pink Faganza: Perhaps the most popular carnation colour, pink is said to symbolize friendship or a mother's love. 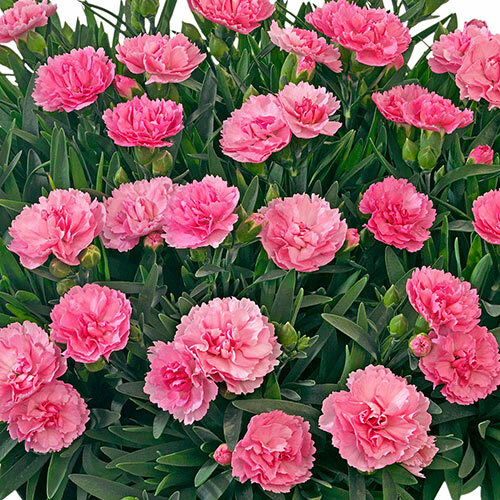 The toothed, double blooms of this medium pink variety feature lighter pink highlights. Luigi: You don't have to wait long for these flowers, Luigi blooms surprisingly early. Darling double blooms in a vintage salmon-orange make lovely accents in containers. 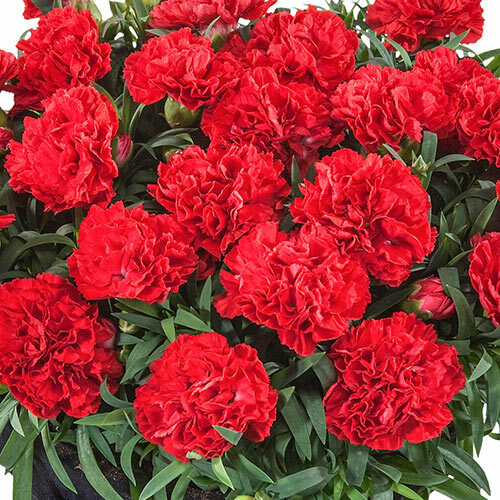 Red Bull: Red carnations are meant to symbolize heartfelt love, which will make perfect sense when you see these early-summer blooms—their vivid red colouration is easy to fall for. Charming in borders and containers.